The Webster brand is known for their quality, long life products. Over the years the brand was acquired by many companies; Sta-Rite Industries, Danfoss and Sauer-Sunstrand. Danfoss and Sauer supplied original “OEM” Webster components for years. In 2004 Sauer-Danfoss stopped producing the YC series leaving limited options to consumers. Hydraulic.net has been working with OEMs, distributors, repair shops, and end-users for over 30 years. 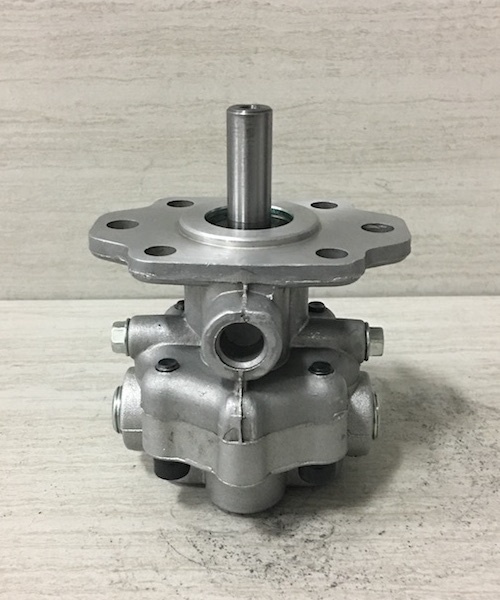 As the leading provider for hard to find, often obsolete gear pumps, and specializing in the Webster brand; Hydraulic.net is the one call you need to make for replacement Webster series gear pumps. YC Series hydraulic gear pumps are ideally suited for applications where a lightweight, compact, and efficient pump is needed. Operating at continuous pressures to 2500 psi (172 bar) and speeds to 3000 rpm, YC Series pumps are available in six displacements from .58 to 1.94 in3/rev (9.5 to 31.8 cm3/rev). YC pumps have a pressure balanced design for high volumetric and mechanical efficiencies. They feature two-piece, high-strength aluminum alloy construction with heat-treated alloy steel gears and shafts. Standard features include straight, keyed shaft; heavy-duty sleeve bearings; double lip, nitrile rubber seal; and side SAE O-ring or NPTF type ports. Optional flow dividers are available with factory preset constant delivery from 1 to 9 pm (3,7 to 34 l/min) at the regulated flow port. Listed below are some of the YC product numbers. You may have the serial number or model number which is not listed below. Please call or email our team of Hydraulic Experts, provide them with the numbers off your pump and we will provide a quote as promptly as possible. When you choose Hydraulic.net you are choosing to work with hydraulic experts who have over 30 years of experience. Quality, accurate, and reliable products built and tested in the United States, shipping from Northeast Florida. Our hydraulic experts are here to serve you Monday through Friday, 8:30 AM to 5:00 PM eastern standard time. Call us at (800) 765-5670 or email a quote request. We strive to align our inventory with the demands of the marketplace. We carry stock on many pumps and often able to ship in 1 to 2 days.